If you're familiar with Amazon's voice assistant Alexa, you'll know that she has Skills. For the uninitiated, Skills are features you can add via the Amazon Alexa app on your phone. At the beginning of 2018, there were 30,000 different skills on the market from both Amazon and third-party developers; these included Amazon Storytime, with Alexa taking over the bedtime reading; ALOP Pilates, a 20+ minute audio-based exercise class, and the BBC News Skill which brings you the latest headlines. Now, Amazon has launched Skill Blueprints, a range of templates that you can customise to suit your needs. Popular templates include Houseguest. Picture the scene: you're having someone to stay but you'll be out a lot while they're over. Or perhaps you have a new childminder or a pet sitter who's not familiar with the house and where you keep everything. You simply go into the template, enter the most likely asked questions, such as 'Where to do you keep the dog food?' 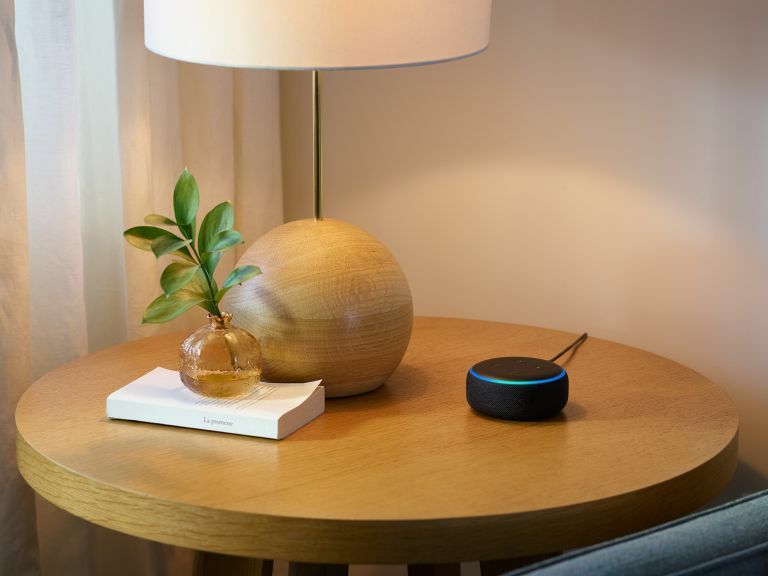 and the answers; then, when your guest/childminder/pet sitter asks Alexa the question, the answer is ready and waiting. Let's go back to Storytime and how Skill Blueprints have moved that on with the Fairy Tale template – a story you can create and customise. You can decide on the plot, the characters and names and even add sound effects. So, if your child wants to be called Prince Tarquin and fight a dragon called Ted and have the story read to him/her time and time again, all you have to do is set it up on the template, and then request the story at bed time. Here's another template we loved: My Flashcards. Alongside Quiz and Facts, it allows you – or any child facing a test or exam – to put in all the questions and answers that need memorising, and then you can simply get Alexa to test you time and again for the correct answers. A customised Q&A. Clever. Other fun features? My Compliments, Roasts and Family Jokes. Skill Blueprints goes live today. Check it out. You'll soon wonder how you ever lived without it – although you may still get roped into the bedtime story. Come on, you know you love it. Read our Amazon Alexa review for more information.